We are very happy here at Casa Touchstone. Our little bird has returned to the nest, temporarily. Macy just jetted back from 4 months in the Cloud Forest region of Costa Rica. She had a marvelous time and was sad to leave her Costa Rican family who made her feel so welcome and a part of their family. It is wonderful to have her back. Next week she leaves for a cross country camping and hiking trip with a college friend. Lots of wanderlust in this little girl. 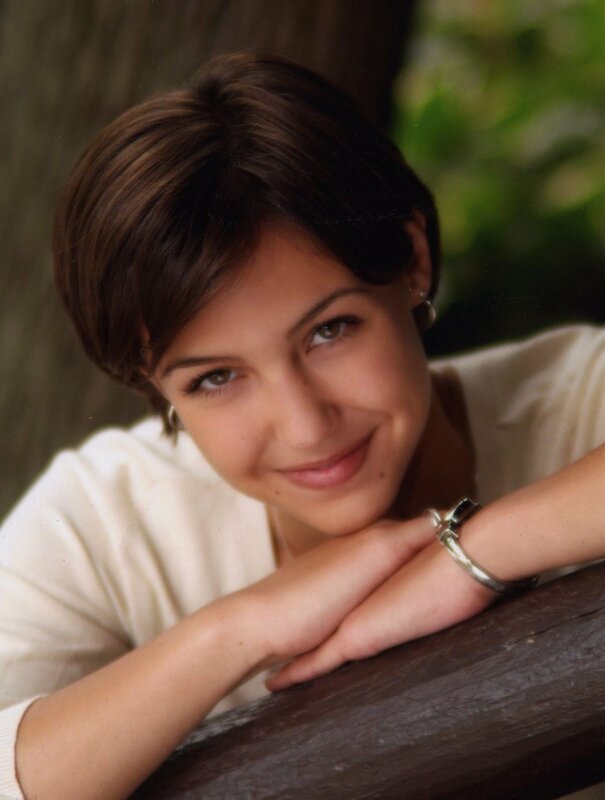 Hard to believe she was the child I always knew was holding tightly to my hem. Her older sister was the curious one who never would sit still long enough to let me catch up to her. The tables have certainly turned. Mace has big plans to travel the world and absolutely no fear. Exciting times in this young woman’s life. Thought you might enjoy some garden shots. 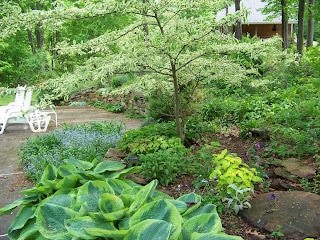 The Pagoda Dogwood is looking especially bridal cake-like, I think. I love this tree and have a wonderful husband who is very conscientious about circling it with fencing every Fall to protect it from our marauding deer. Thanks honey. The epimediums against the stones is very effective don’t you think? And the poppies are starting their show. 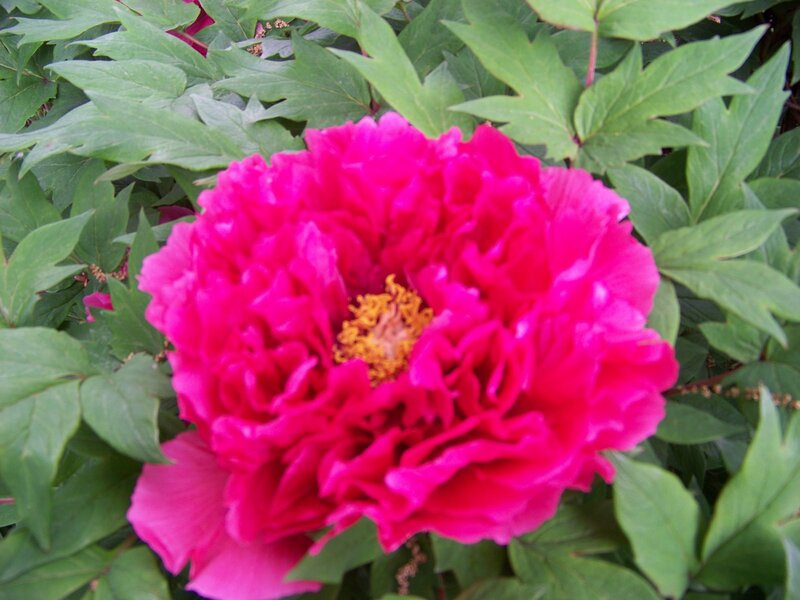 This tree peony is spectacular. Unfortunately, they only look good for a few days, but what beauty. 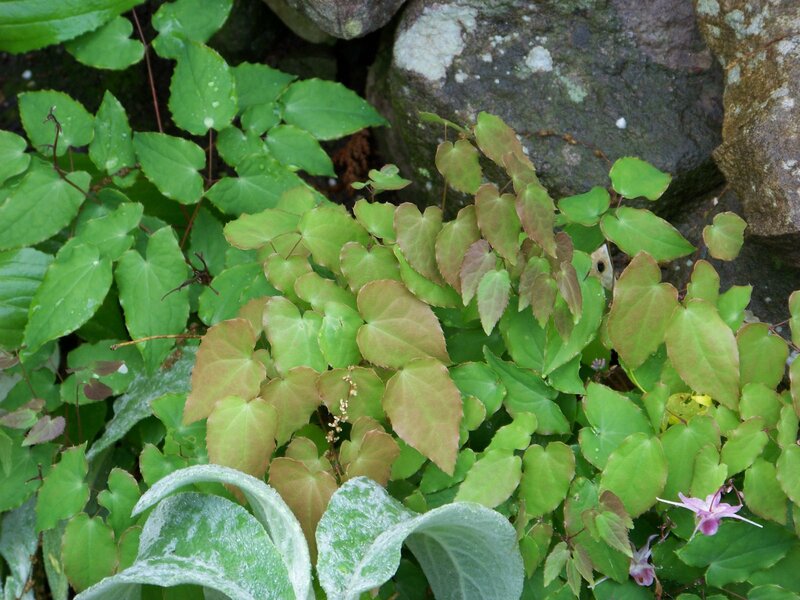 Even after the flowers have faded the structure and leaves are really beautiful so it offers a lot to the garden. Now to the reason for the title. I consider myself a pretty decent gardener, not great at remembering all the Latin but comfortable enough I know what the pros are discussing most of the time. I have had my fair share of successes along with vast numbers of failures. But this new one has me stumped in a profound way. See this gorgeous wisteria. I am unduly proud of this shrub. It is ten years old and just started to bloom three years ago. 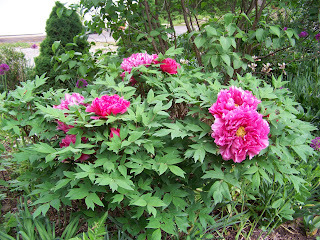 It is one of a pair that have pride of place in our front yard, dead center on either side of the front walk. And they are stunning when in bloom. And I don’t know what I have done. I don’t fertilize either of them. I do of course prune them regularly to keep a vining plant as a standard. 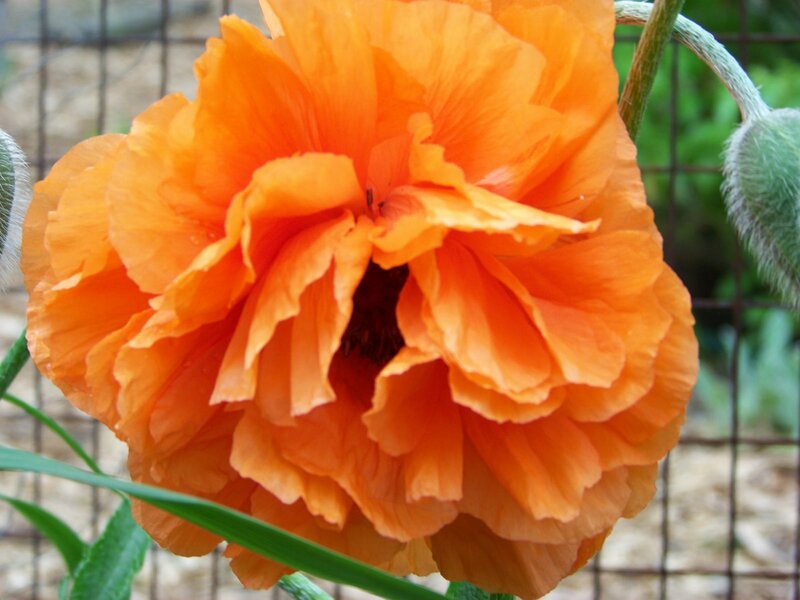 I edge their beds and occasionally mulch, which I don’t think I even did last year and have not this year. The buds on this one looked like they were swelling up and ready to pop but then nothing. absolutely nothing has happened. I don’t think the plant is dead as there is still green in the stems when I cut them. 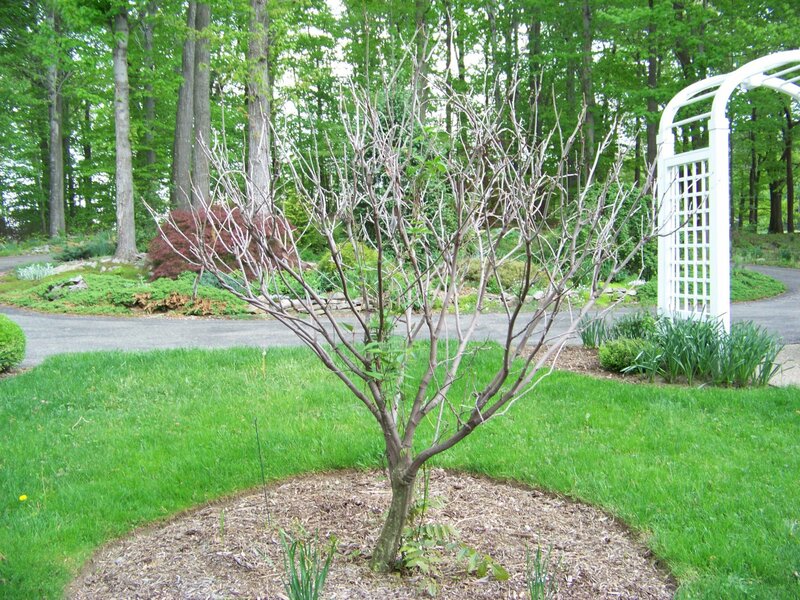 So I am at a loss as to what I have done to this poor shrub. Anyone have any ideas or experience anything similar? 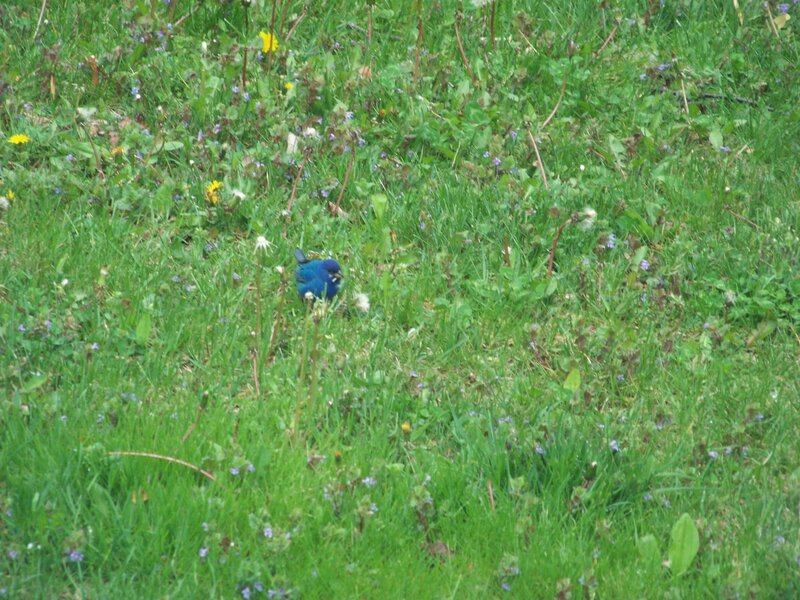 In other sightings we did have an Indigo Bunting visit the farm last week. He was very busy stuffing as many dandelion seeds as he cold squash into his beak. He spent about 25 minutes inhaling the seeds on the worst patch of lawn we own. Now I don’t feel so bad about that ugly weedy patch. The Indigos love it. 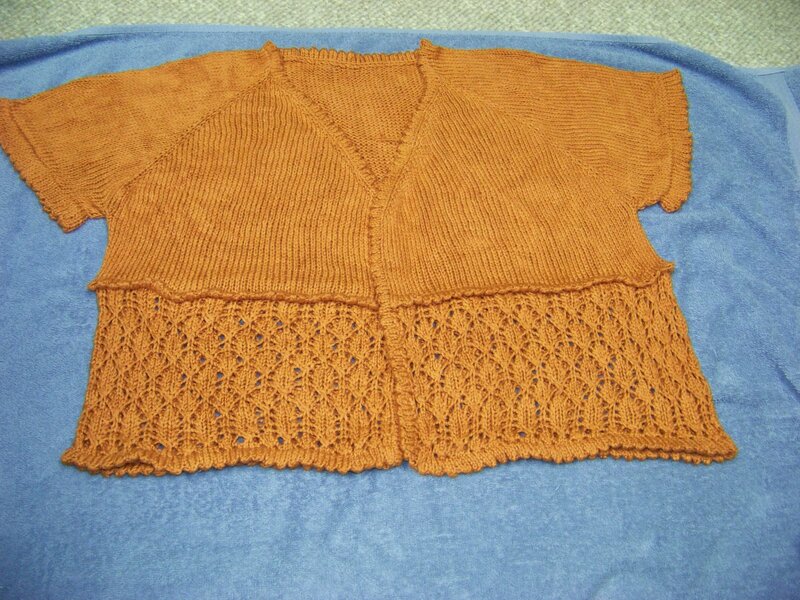 I have also finished the Lacy little Cardi for Knit One North in Pittsburgh. I am happy with how it turned out. 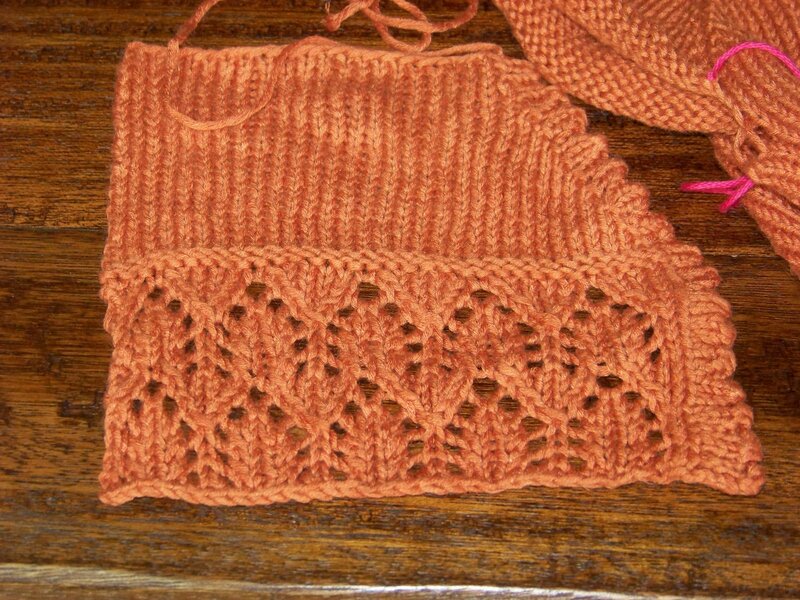 Now I just need to write up the pattern, my least favorite part of designing, and get it to the store. I am sure it will look much better when Dawne models it and we have a shot with a real person wearing it. Your Macy is gorgeous, Heidi! And your garden is, too. Love your bunting! 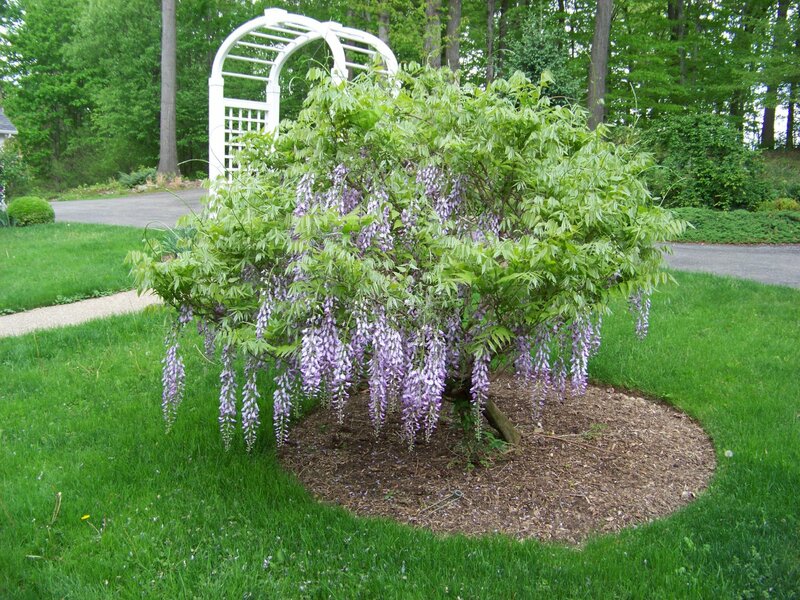 I don’t know what’s happened to your poor wisteria, but it reminds me of my front door garden, where I keep trying to have two huge bleeding hearts, on on each side of the stoop, and every time I get one established, the other one vanishes! So much for symmetry! Good luck reviving it. I am totally flumoxed by this but glad to know other “experts” have similar complaints. And Yes, Macy is a cutie and just as pretty on the “inside” as they used to say.Wish I were closer I have two bleeding hearts that are too big and need to be separated would gladly give you the extra.